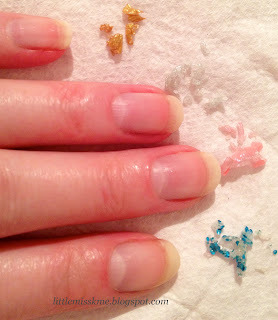 I have found the answer to my Glitter Nail Polish prayers! Now I don't know about you, but I have a real soft spot for glitter polishes, although I hate it when its time to take it off. 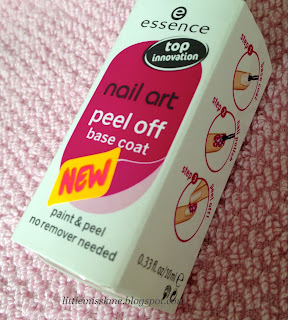 You know how it is....it goes all over your cuticles, finger tips......no matter how much remover you use, it spreads everywhere. Well this little beauty is the answer! Step 1 - On clean nails, apply a generous layer of Peel Off Base. 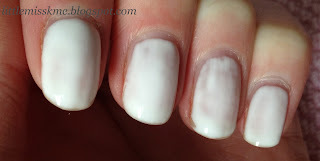 This is white to start with but will dry transparant. Allow to dry for at least 10 minutes before doing step 2. Step 2 - Paint your nails with desired colour. 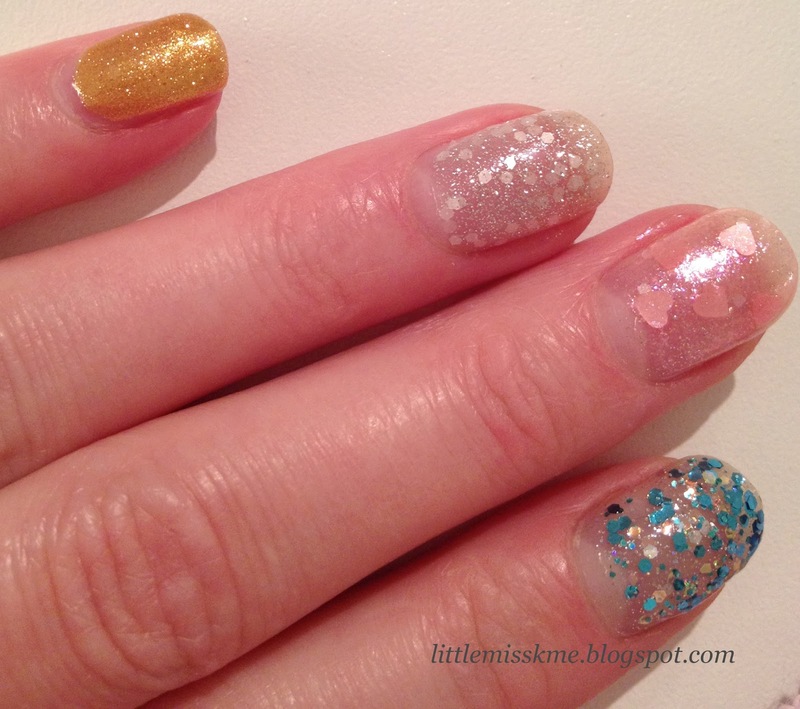 I've used my four favourite glitter polshes. This will demonstrate how well this product works with a variety of brands. Step 3 - Peel off to remove. Hhmmm, I found peeling it off with my fingers to be not so easy, so I opted for a cuticle pusher/Orange stick. 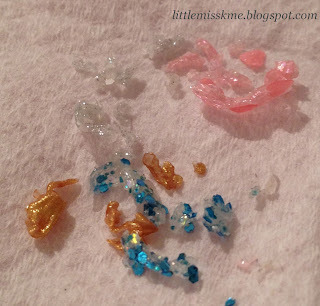 This made removing my nail polish very simple. As you can see above, it came off with no problems or damage to my nails. The easiest polish to come off was Models Own, the hardest was OPI. All came off well but the OPI ones just took a little bit more pushing. 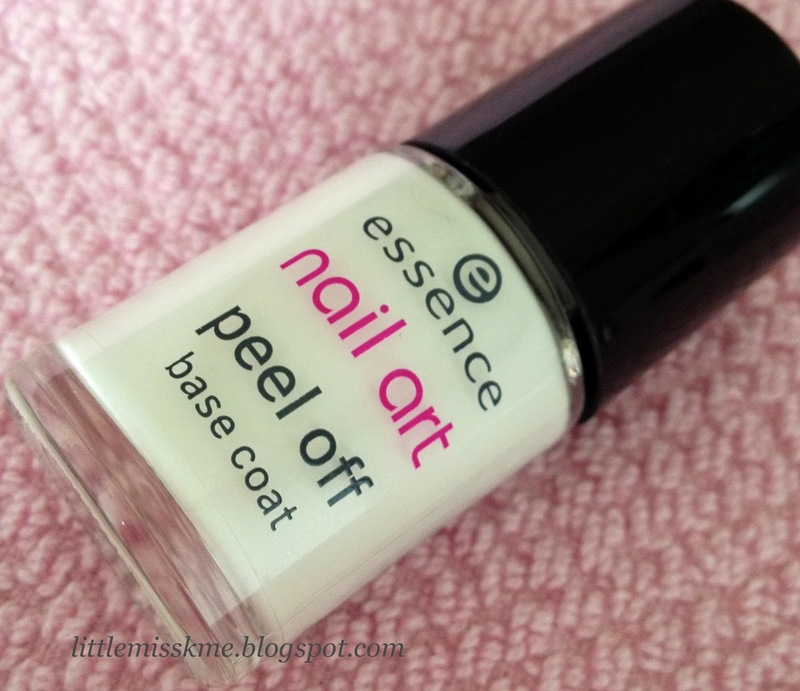 I really liked using the Essence Peel Off Base and its definitely one to keep! Its fantastic isn't it. 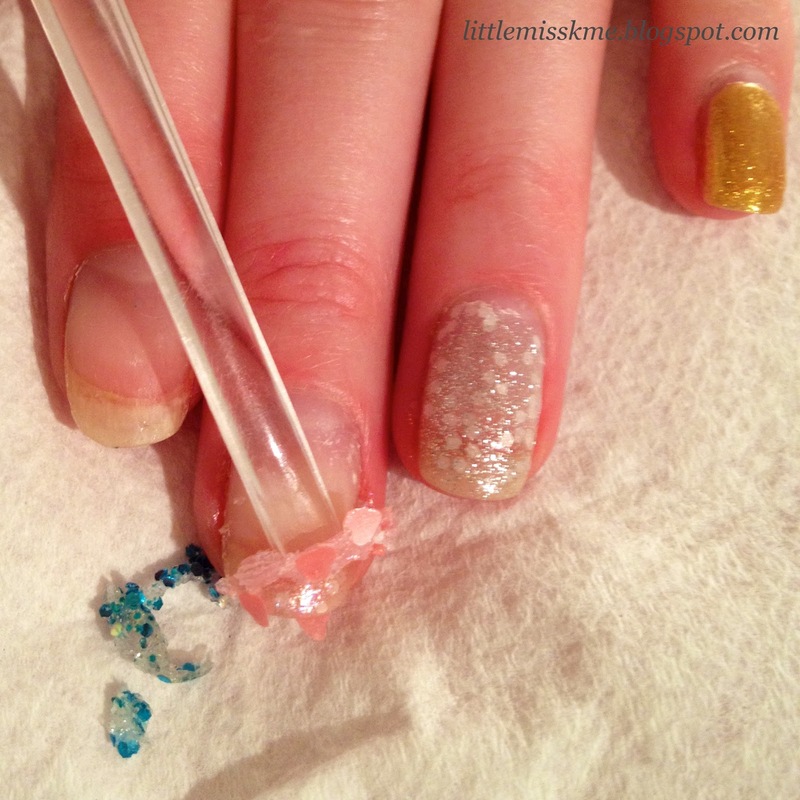 A must when using glitter polish. Hehe, did you get some?